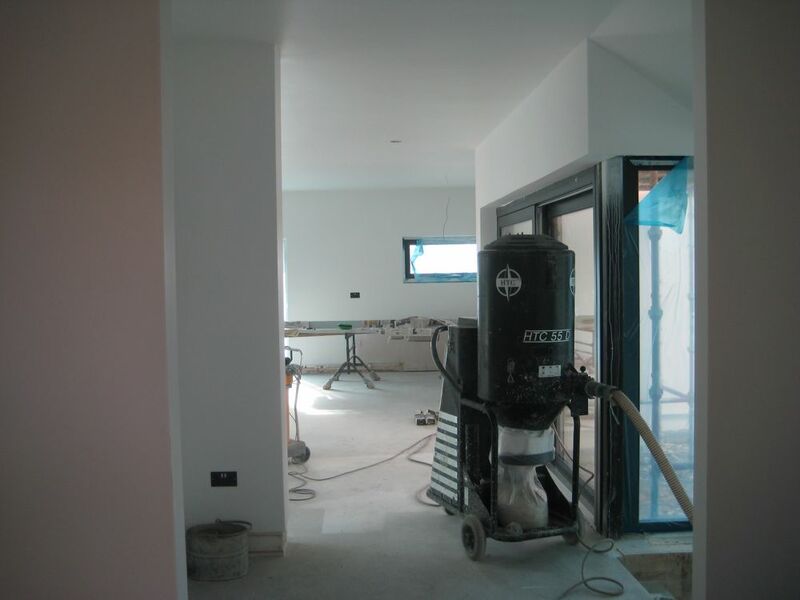 With the painting of the basecoat & first finish coat complete we can now get the ground floor polished. 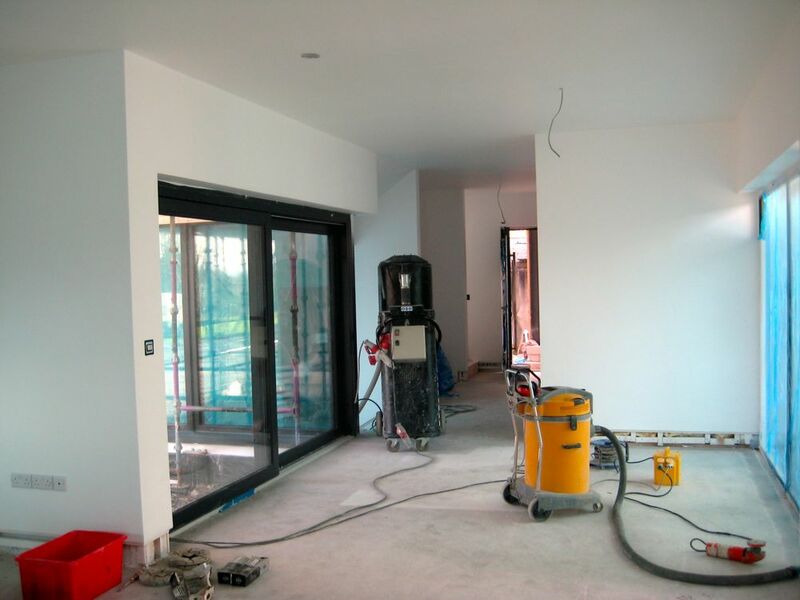 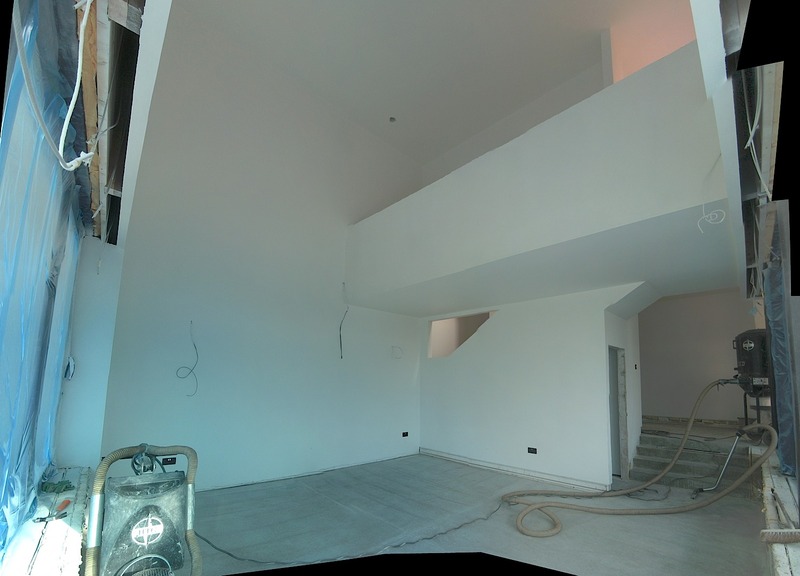 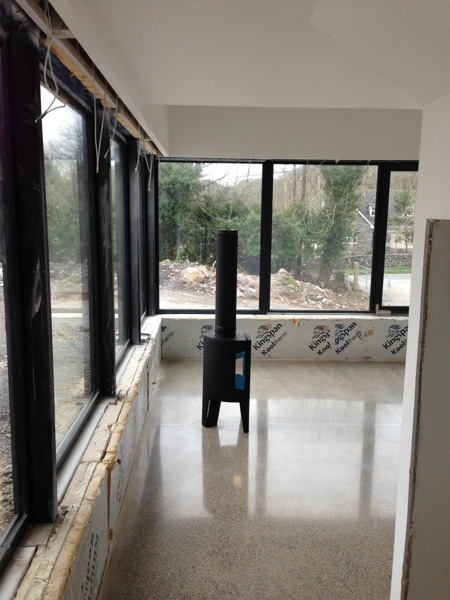 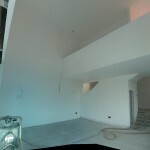 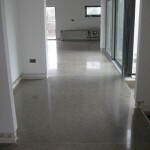 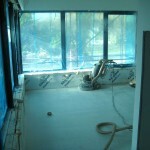 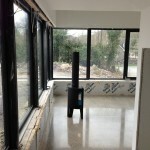 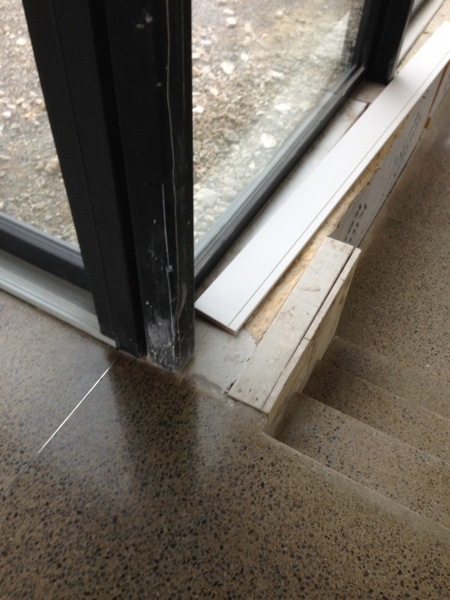 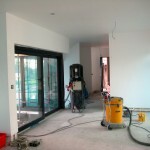 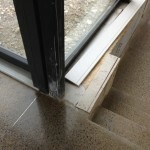 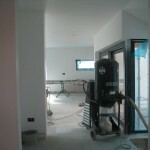 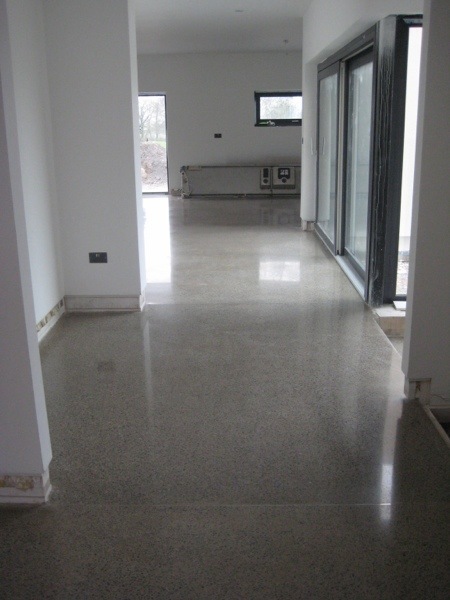 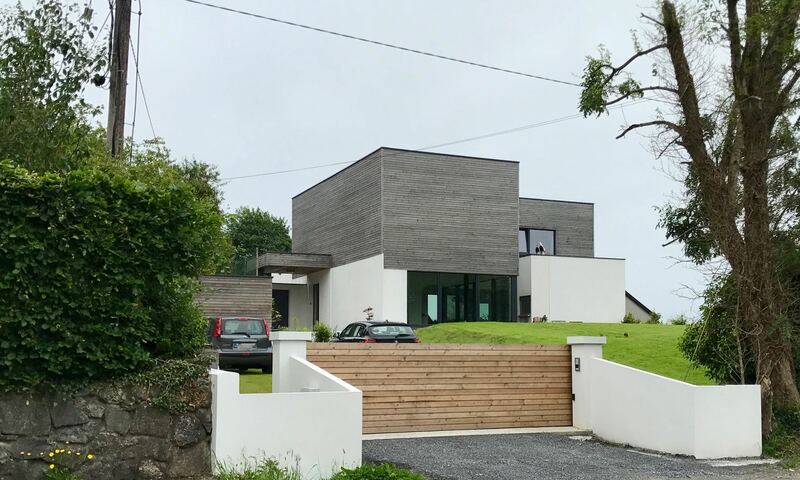 Concrete Concepts are back on site to carry out the next stage of polishing on the floors. 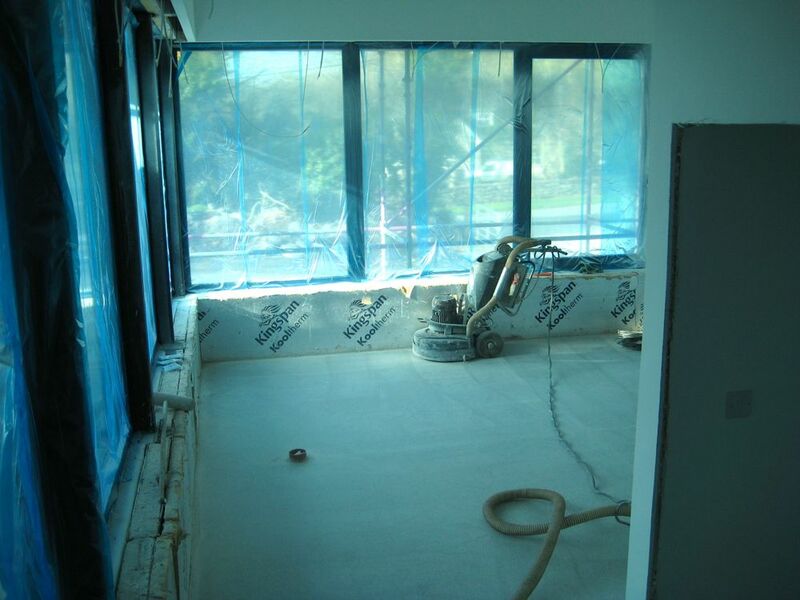 It is going to take a few days to remove the top dusty layer from all the floors, grind out all the small scratches and bring up the full floor finish. 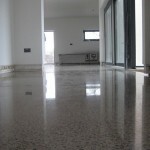 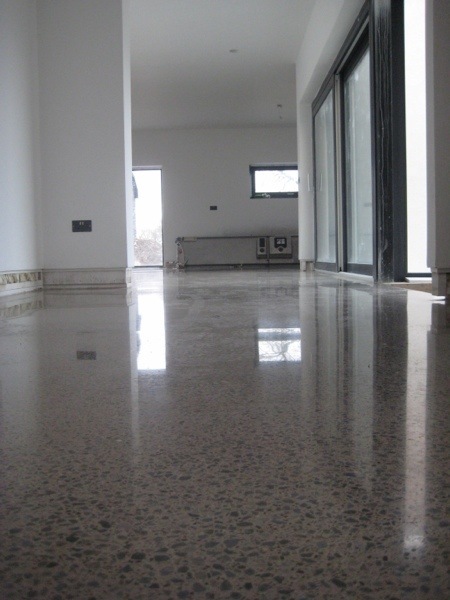 A special sealant is then applied to the floor which, once dried, will be polished to a shiny platinum finish.